Yoshinori Terasawa and Takayuki Sugawara, the creators of Danganronpa, and Spike Chunsoft bring us their new project in Zanki Zero: Last Beginning. A dungeon crawling survival game that just launched on PC and PlayStation 4. Zanki Zero: Last Beginning takes place in a post-apocalyptic world , and the player takes control of eight protagonists trying to survive by collecting food, defending yourself from monsters, and… using the bathroom. 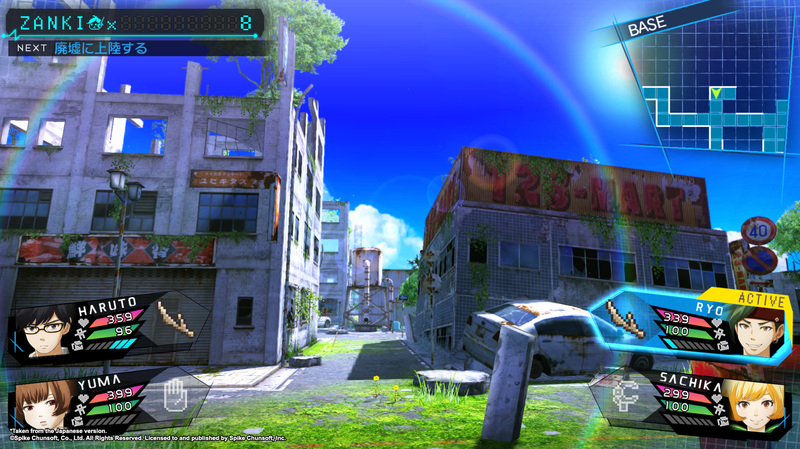 It also features a unique death and rebirth gimmick. Each of the eight characters are actually clones with only a thirteen day lifespan. After which they die and are reborn gaining new advantages based on their previous life. Exploring dungeons to unlock secrets of these clones past life seems to be key to the games story. Zanki Zero: Last Beginning is available right now on PC and PS4 for $59.99 USD. If you act fast you can pick up the Day 1 Edition (PS4) or Early Purchase Bonus (Steam) to get the game bundled with the soundtrack. There is a physical release on PS4 and you can currently get the game 10% off on the Steam store. LONG BEACH, CA, APRIL 9, 2019 — Zanki Zero: Last Beginning is available now for PlayStation®4 and Steam®! The newest release trailer highlights all the game has to offer, watch it below. The bonus Zanki Zero: Last Beginning Survival Soundtrack CD is available with the North American Day 1 Edition (PlayStation 4) or as an Early Purchase Bonus (Steam[PC]). The game will be released on physical and digital platforms. The bonus Zanki Zero: Last Beginning Survival Soundtrack CD is available with the North American Day 1 Edition (PlayStation®4) or as an Early Purchase Bonus (Steam®[PC]).